Make your list and check it twice! This holiday concert is more than just nice!! 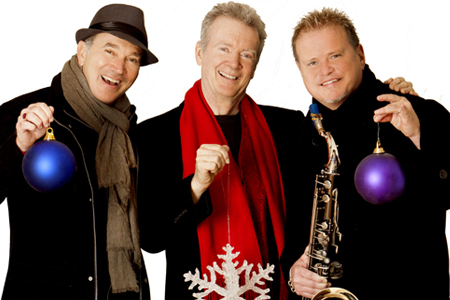 A Peter White Christmas featuring Rick Braun & Euge Groove is coming to town. Contemporary jazz lovers eagerly await this annual fun filled concert, which has packed fans into halls coast to coast year after year. Peter White is an extraordinary and fluent acoustic guitarist whose skills are world renowned. Euge Groove adds a dynamic charm to his music with exquisite saxophone artistry and wisdom. Rick Braun is a masterful trumpet/flugelhorn player whose warm tones transform the simplest melody into a work of art. They have each separately sold millions of records and their combined fans will surely appreciate this special Christmas performance!